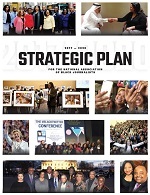 (Washington, D.C.) - The National Association of Black Journalists (NABJ) extends congratulations to longtime NABJ member Rashida Jones, who was recently appointed Senior Vice President of Specials for NBC News and MSNBC. She was previously managing editor of MSNBC 's day side programming. Jones has been integral in the network's rebranding and focus on breaking news coverage. Under her leadership, MSNBC day side programming saw year-to-year triple-digit growth, a trend that continues. 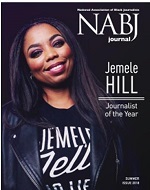 "I'm am very excited to take on this position and thankful for all of the support NABJ has provided over the years," Jones said. In making the promotion announcement to staff, NBC News president Noah Oppenheim said Jones "brings deep knowledge of cable, breaking news coverage and events programming to her new role." Before her time with MSNBC, Jones was the news director for WIS-TV, the NBC affiliate in Columbia, South Carolina, where she rebuilt and rebranded the news team to focus on investigative reporting. The station was solidly No. 1 in the market. She was also director of live programming at The Weather Channel, leading network coverage and programming for some of the world's most historic weather events, such as Hurricane Katrina. "We are thrilled that Rashida Jones has been given this well-deserved promotion. It is a reflection of her skills as a newsroom leader. She is a mentor and friend to many NABJers and we are proud of her continued success as a television executive," said NABJ President Sarah Glover. Jones is a 2002 graduate of Hampton University.